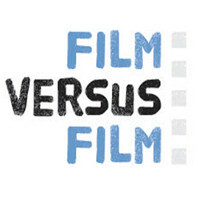 Film Versus Film is a web series centering on the discussion of popular cinema. The show’s panel is made up of filmmakers, professors, film critics and film scholars. The panel’s discussions stem from tongue-in-cheek, pop culture-oriented “categories” like ‘Best Use of a Pop Song in Film,’ ‘Film Failure that Should Have Spawned a Great Franchise,’ ‘Most Unpleasant Christmas Movie,’ and ‘Hammiest Performance Ever by a Film Actor.’ The series shoots in Philadelphia.